Poughkeepsie & Newburgh, NY — United Way of the Dutchess-Orange Region is pleased to be part of United Way Worldwide’s United for U.S. Coalition, a joint effort by United Way’s corporate partners, organized labor, the United Way network and nonprofits to assist furloughed federal workers and others impacted by the ongoing government shutdown. United Way and its community partners are preparing for an expected uptick in calls to United Way’s 2-1-1 nationwide network from those seeking assistance with rent and mortgage payments, utility bills and groceries. United for U.S. will address these needs by bringing together United Way’s deep community knowledge with organized labor and our corporate partners who want to help those in need during the extended shutdown. Some of United Way of the Dutchess-Orange Region’s corporate partners who are providing assistance for those affected by the government shutdown are utilities and financial institutions. Please note that this is not a comprehensive list, but is inclusive of those organizations that have provided us information to date. A resource page has been set up on our website at www.uwdor.org/govshutdown. New businesses and organizations will be included if they submit their information at: http://www.uwdor.org/govshutdown-entry. Orange & Rockland Utilities suggests that anyone who is in trouble of paying their bills contact customer service at 1-877-434-4100. Chase Bank (https://media.chase.com/news/customers-affected-by-government-shutdown) encourages customers affected by the shutdown to call Chase’s special care line at 1-888-356-0023 for details of available hardship programs. Hudson Valley Federal Credit Union (https://www.hvfcu.org/ads/government-shutdown) offers assistance with loans and waives early withdrawal fees. KeyBank (https://www.key.com/about/government-shutdown-support.jsp) will help government employees or members of the military impacted by the shutdown with their KeyBank accounts. Mid-Hudson Valley Federal Credit Union advises those affected by the government shutdown to contact Kim Keizer at kkeizer@mhvfu.com. M&T Bank is offering a variety of options (https://www.mtb.com/mortgages-loans/mortgages/federal-government-shutdown-assistance) to help people with a temporary loss of income. Orange Bank & Trust (https://orangebanktrust.com/about-us/press-releases?id=51) will defer mortgage and loan payments for up to six months or until the end of the government shutdown, whichever comes first, and any credit reporting requirements will be suspended during this time. In addition, Orange Bank & Trust will waive deposit account charges as well as any late fees or early withdrawal penalties for our affected customers. Customers should contact their branch for information. Rhinebeck Bank (https://www.rhinebeckbank.com/AboutUs/GovernmentShutdown/tabid/18515/Default.aspx) advises those affected by the pay disruption who need assistance to call 845-454-8555 option 3. TD Bank (https://www.td.com/us/en/personal-banking/govalert/?cm_sp=b000-00-4447) is offering enrollment in their payment assistance program. TEG Federal Credit Union (http://email.tegfcu.com/EmailTracking/NView?id=jJrleua1OkmksG0FY3ZBqA&e=sample) is offering a variety of temporary services by request, including loans and waiver of withdrawal penalties. Ulster Savings Bank advises those affected by the government shutdown to call their customer support team at 866-440-0391 ext 3338 to discuss their particular situation. If you would like to include any special offers your business or organization is providing those affected by the government shutdown in Dutchess & Orange counties, please go to http://www.uwdor.org/govshutdown-entry to enter details. Wells Fargohas pledged $250,000 in grant support to help federal employees meet their most basic needs: food, bill assistance, shelter etc., in addition to waiving fees for customers who have direct deposit from the federal government, and offering short and long-term assistance for those who need extra time to make payments. Customers should call 800-219-9739 for help, or visit any branch. Nationwidewill institute a grace period and delayed payments for standard personal lines; expedite requests for withdrawals and loans to disburse money quickly; waive certain fees; and extend due dates for insurance premium and loan payments. Customers should refer to the contact information on their policy or contact their agent for more information. U.S. Bankis offering a new low-rate quick loan designed to help customers families impacted by the shutdown. Qualified federal government employees can apply for a $100-$6,000 low-rate, quick loan, or find out about mortgage relief options. Customers should call U.S. Bank’s designated federal government shutdown line at 877-760-6046. Lyftis working in the Washington, D.C. area — home to 300,000 federal workers — to provide financial support, including donating food to local food banks. Airbnbwill pay hosts who are furloughed employees for an extra night (up to $110) for every three nights they rent out their house, apartment or room to travelers. Sprintis encouraging customers struggling to pay bills because of the shutdown to call 888-211-4727 or go online at Sprint.com to talk with a customer care representative about short-term payment solutions to keep service uninterrupted. 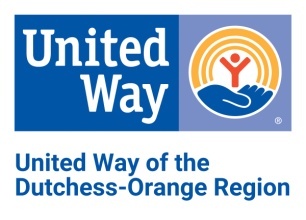 United Way of the Dutchess-Orange Region fights for the health, education, and financial stability of every person in our community. In 2017-18, charitable contributions from individuals, businesses and organizations to United Way’s Community Fund supported nonprofit partners in delivering services to 166,433 residents of Dutchess and Orange Counties. For more information, go to www.uwdor.org. Follow us on Twitter: @UWDOR, friends us on Facebook: www.facebook.com/uwdor and #LiveUnited. This entry was posted in Advocacy, Community, FREE Services, Government, Health & Wellness, News, Nonprofits. Bookmark the permalink.